Andrea Melgarejo (22), from Guaira was crowned Miss Universe Paraguay 2016 in the “Reinas del Paraguay” Gala held at the AWA Resort in Encarnacion on October 1st. Standing 1.80 m in height, Andrea will now represent her country during the next Miss Universe finals to be held in the Philippines in January. 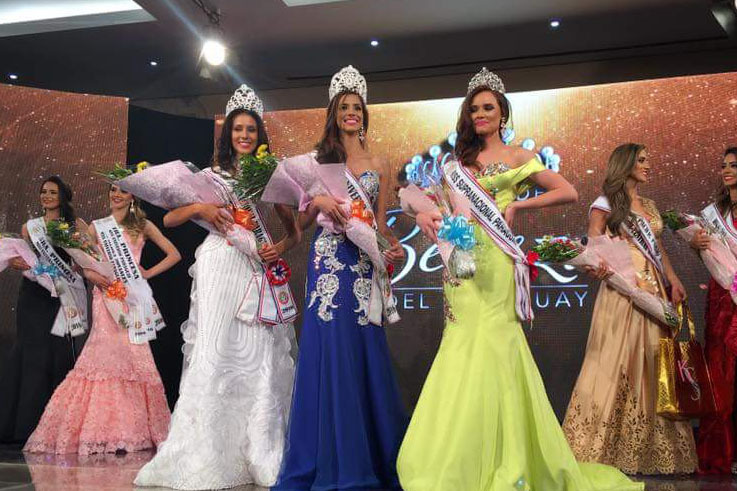 Miss Itapua, Tatiana Rolin, was crowned Miss International Paraguay who will compete in Miss International 2016 pageant to be held in Japan and Miss Fernando de la Mora, Viviana Florentin, received the title of Miss Supranational Paraguay who will compete in the Miss Supranational 2016 finals in Poland, December 2nd.